As President Donald Trump and North Korean leader Kim Jong Un prepare to meet in Hanoi, Vietnam, for their second summit, it’s very clear that not much has changed since their first meeting in Singapore in June 2018. Kim still has his nukes, and the U.S. wants him to give them up. Considering that an armed conflict on the Korean Peninsula could erupt at any time – and escalate rapidly into World War III – maybe the best move for the U.S. remains the same as it did when Trump and Kim posed for the cameras in Singapore: Rather than risk a cataclysmic world war, accept the reality of a nuclear-armed North Korea. North Korea is a nuclear power. We should get used to it. That’s right. The nuclear genie is out of the bottle. The ICBM cat is out of the bag. The whole team of apocalyptic horses can bolt from the barn at any moment. We can wag our fingers, we can stamp our feet, and we can match the bellicose rhetoric of the Pyongyang regime with our own “fire and fury” threats. But the reality is that North Korea has crossed the threshold to become the eighth bona fide member of the most exclusive club in the world, the one that can wipe humanity from the planet with the push of a few buttons. Short of launching an attack on North Korea that would likely lead to hundreds of thousands of civilian casualties – and possibly be the opening act of World War III – there’s not a lot the U.S. and the rest of the international community can do about it. So, like I said, we should get used to it. To many, especially in the United States, it is impossible to countenance such an opinion. U.S. policy – as expressed publicly and firmly by a succession of presidents, including the current one – has been that North Korea must never be allowed to join the nuclear brotherhood. Why? Evidently, reason numero uno is that Kim Jong Un, who rules the “Hermit Kingdom,” is a brutal, ruthless, homicidal psychopath who goes to sometimes bizarre lengths to maintain his hold on power. And, alas, there’s plenty of evidence to support that description, even if it is something of a caricature. To bolster its No Way-No How policy, the U.S. has enlisted the support of allies, some adversaries (such as China and Russia), the United Nations, and truly weird go-betweens like former basketball star Dennis Rodman. Providing intellectual spine (and an endless stream of op-eds) to the crusade are an army of academics and journalists who examine the issues from every conceivable angle. While the policy may not in itself have been wrongheaded, it has failed: Kim Jong Un has The Bomb. (In fact, he might have as many as 60 of them, according to some estimates.) By painting a “red line” firmly rejecting a nuclear-armed North Korea, U.S. presidents and policymakers may have inadvertently painted themselves into a rhetorical corner from which it’s extremely difficult to emerge without an unacceptable loss of face. But, is attempting to salvage a failed policy worth going to war? What Would a Second Korean War Look Like? 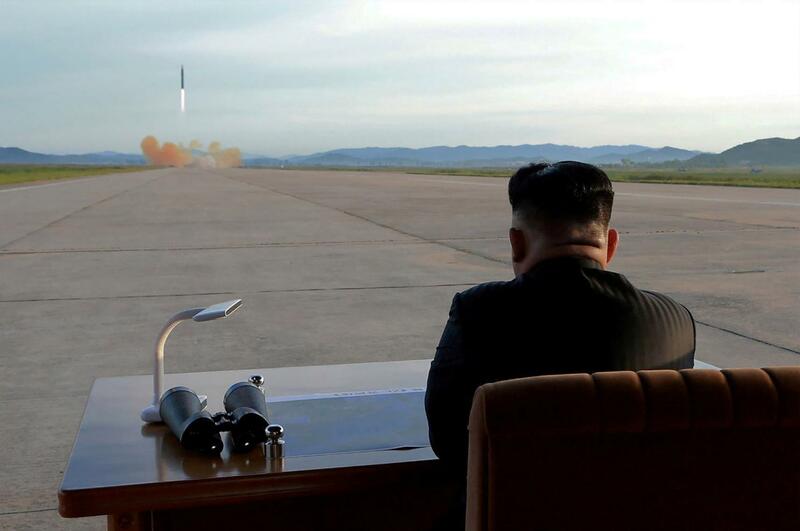 If the U.S. were to launch a “preventive” attack to knock out the North Korean nuclear capability, few analysts believe that Kim Jong Un would just sit back and twiddle his thumbs. Rather, the North would likely respond with a devastating artillery barrage; the invasion of the South by specialized troops through tunnels under the DMZ; and air, missile, and naval actions aimed at targets throughout South Korea and its waters. Chillingly, the South Korean capital of Seoul, with a population of around 10 million, is within range of North Korean artillery – artillery that can fire not only conventional shells but also chemical rounds. Casualties would be horrific, both in number and in types; some credible estimates predict more than a million deaths. Experts believe that North Korea has a stockpile of between 2,500 and 5,000 metric tons of chemical weapons. Even with the advantages of a surprise attack and qualitatively superior forces, the U.S. and South Korea would face difficult terrain and a North Korean military that borders on the fanatical in its devotion to the Kim regime. In their counterattack, the North Koreans would wreak as much havoc as possible, as quickly as possible. Would a War with North Korea Remain Sub-Nuclear? Few, if any, analysts believe that North Korea could prevail in an all-out war with South Korea and the United States. But faced with an existential threat to their regime, Kim and his generals might quickly find themselves in a “use them or lose them” situation with the nukes that survived an American onslaught. No one doubts seriously that any use of nuclear weapons by North Korea would be met by anything less than a nation-killing nuclear response from the U.S. If the North Korean leadership perceives that they’re going to lose the war – and almost certainly their lives – might they resort to a nuclear strike in a desperate attempt to impose a cataclysmic cost upon the U.S. and, indeed, the world? If so, the attack might not come from above. The fixation on preventing North Korea from deploying nuclear-armed missiles that can hit American targets in the Pacific or even the continental U.S. is, perhaps, understandable. After all, that is the threat that we’ve become accustomed to fearing most. Yet it may also divert attention from other means of delivering weapons of mass destruction that could be just as terrifying – and effective. Some analysts believe that another viable threat could be decidedly more low-tech: North Korea could send ships carrying nuclear weapons directly to coastal targets and set them off without warning. North Korea has over 100 merchant ships operating around the world, and it sometimes relies on front companies to help it evade internationally imposed sanctions. While it’s hard to imagine a North Korea-flagged vessel slipping unchallenged into, say, New York harbor, it might be more disquieting to consider the possibility of their using ships entering under false flags – perhaps even pirated vessels – and getting to optimal locations for detonation. A major armed conflict on the Korean peninsula would risk drawing other countries into the war. This is as true in the 21st century as it was in the Korean War of the 1950s. The United States has bases in Japan that would support military action in Korea. Would Kim Jong Un spare those assets from attack? Don’t bet on it. More than likely, North Korea’s response would include launching missiles at them, and maybe at other Japanese targets, especially critical infrastructure. Such attacks might be conventional, but the use of chemical or nuclear weapons cannot be ruled out. And regardless of the type of weapons used, strikes against Japanese territory would almost certainly induce Japan to join the fight. The Korean War of the 1950s never officially ended. An armistice was declared with a demilitarized zone separating North and South at the 38th parallel, but no peace treaty was signed. If the U.S. and South Korea were to push deep into North Korea, would China intervene to prevent the fall of the North Korean regime, as it did in 1951? Most observers believe that China is dead set against a reunified Korea, allied to the United States, on its border. To make matters worse, China might capitalize on the crisis by attempting to settle once and for all its dispute with Taiwan while the U.S. is preoccupied with the conflict in Korea. Would the U.S. come to Taiwan’s defense? And what of another wild card: Russia? Since the collapse of the Soviet Union, Moscow hasn’t been as deeply involved in North Korea affairs as it was during the Cold War. But would Russia use the turmoil on the Korean peninsula as cover for advancing Russian interests on the other side of the world? If so, then the danger of a global war involving multiple nuclear-armed nations would increase substantially. For seven decades, we have shared the planet with adversaries that have acquired nuclear weapons. The idea that one day such weapons might be used is terrifying. Even worse is the idea of a ruthless and possibly unstable leader, whose only true motivation is his own power and survival, with his finger on the button. Kim Jong Un surely fits that bill, but arguably so did Stalin and Mao – and we’re still here, thanks to the Strangelovian doctrine of Mutual Assured Destruction (MAD). Only one nation has ever resigned from the nuclear weapons club: South Africa, which didn’t disclose to the world that it had six operational atomic bombs until it dismantled its nuclear weapons program in the 1990s. Complementing MAD, U.S. and international efforts since the 1960s have been dedicated to preventing the spread of nuclear weapons to more and more nations (or to non-state actors such as terrorist organizations). To that end, 191 countries have signed on to the Treaty on Non-Proliferation of Nuclear Weapons (usually called the Non-Proliferation Treaty, or NPT), which formally took force in 1970. Four U.N. members – Israel, India, Pakistan, and South Sudan – have declined to sign the treaty. North Korea signed the NPT in 1965 but withdrew in 2003 after its first atomic bomb test. Between them, MAD and the NPT have held the line against a repeat of Hiroshima and Nagasaki – or an even more calamitous, planet-threatening event. Preventing a war that could lead to a far worse global conflict must be the first priority when addressing the North Korean threat. Now that Kim Jong Un has pushed North Korea into the exclusive nuclear club, and now that he has met with the president of the United States on equal footing in Singapore, why in heaven’s name would he ever agree to give up the one ace he has to play in this ongoing high-stakes poker game with the U.S.? After the meeting in Singapore, President Trump averred that North Korea “is no longer a nuclear threat.” Neville Chamberlain couldn’t have said it better – or more foolishly. North Korea is – and will remain – a nuclear threat for as far into the future as any soothsayer can say. 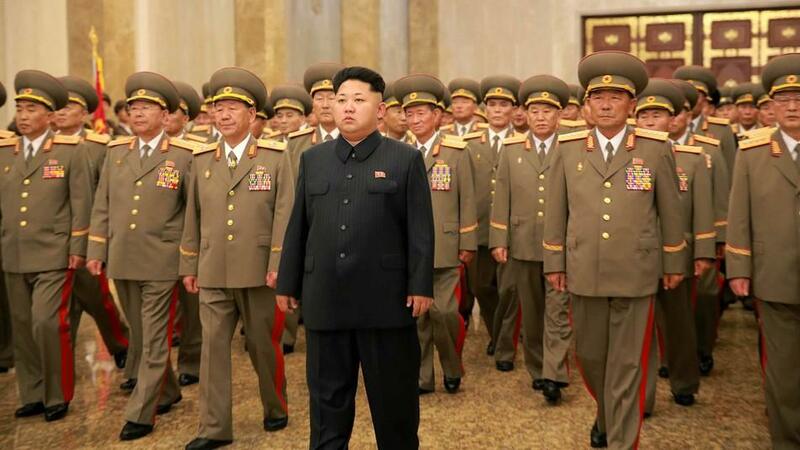 Kim’s underlings will drag their feet in negotiations. They will insist on denuclearization of the entire Korean peninsula. They will resist international inspections of their nuclear programs. They will threaten to incinerate great American cities in thermonuclear hellfire. They will use every trick in the book to keep their nukes – and to keep their smiling, cherubic-looking dictator in power long after President Trump has retired to his Mar-a-Lago golf club. North Korea has The Bomb, and won’t let go. The choice for the U.S. is stark: Start a war, or get used to it.